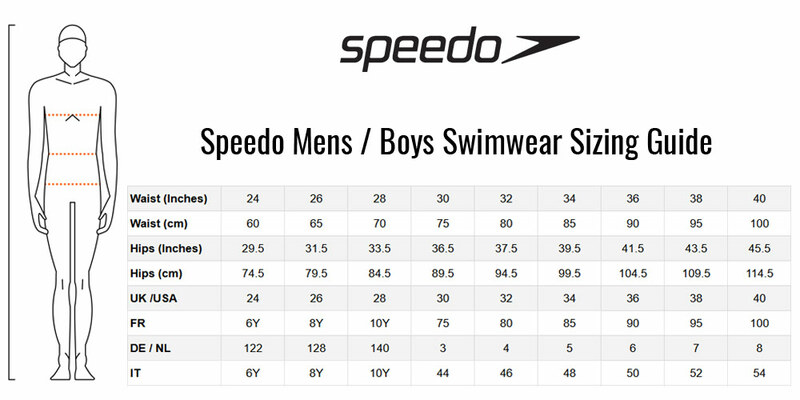 These men's Speedo Placement Panel jammers are ideal for swim training and fitness swimming. These skintight jammers hug the contours of your body to help create a more hydrodynamic shape in the water. Made with Speedo's Endurance10 fabric which provides great shape retention, so that the jammers fit like new for longer! Made with Speedo's Endurance10 fabric which provides great shape retention so that the jammers fit like new for longer! The material contains CREORA HighClo fibres which are able to withstand the effects of chlorine making this swimsuit less prone to degradation. The Endurance10 swimwear fabric is quick-drying and smooth to the touch, offering UVA & UVB protection from the sun. CREORA HighClo fibres - higher chlorine resistance than standard swimwear fabrics. Shape retention - fabric does not stretch out of shape. Material - 80% Polyamide / 20% Elastane (CREORA HighClo).